Lip Venom was the very first lip plumper on the market, creating the lip plumping category for the beauty industry. The tingly gloss uses essential oils to enhance lips' natural color and shape by increasing circulation. 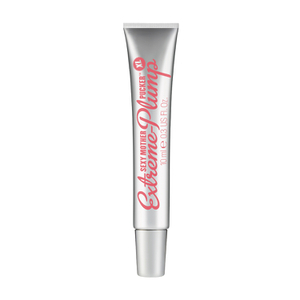 Apply Lip Venom directly to the lips with the brush applicator. I like the way this product enhances the natural color of the lips but i haven't noticed much plumping. It feels like pepper on the lips but don't use too much because it bleeds over the lip line and makes the skin around your mouth red and raw but overall a decent product. Great! It is my favorite lip gloss. It goes on a little tingly, but not painful and it tastes the best out of all plumpers out there. For the first time ever, my husband took notice of my lips and told me they were pretty, even though without this, they are not! LOL Super stuff, nothing compares and I have tried them all. Product is ok. I still like LipFusion much better. This is cheaper but LipFusion I can put on at night and it lasts the entire night so I wake up with nice lips. First off, this product gets way too much hype from the media. It is so small, like a sample size, it doen't work, etc. It is so not worth the money. I will however say that the scent/flavor is quite nice. Two really good alternatives are Freeze 24/7 and Too Faced Lip Injection! They were phenomenal and well worth the pricey tag! This was the first lip plumper I ever tried and it is still my favorite. It makes your lips look flushed and glossy, that sometimes I don't even wear lipstick. I love the warm cinnamon smell too. Highly recommend!